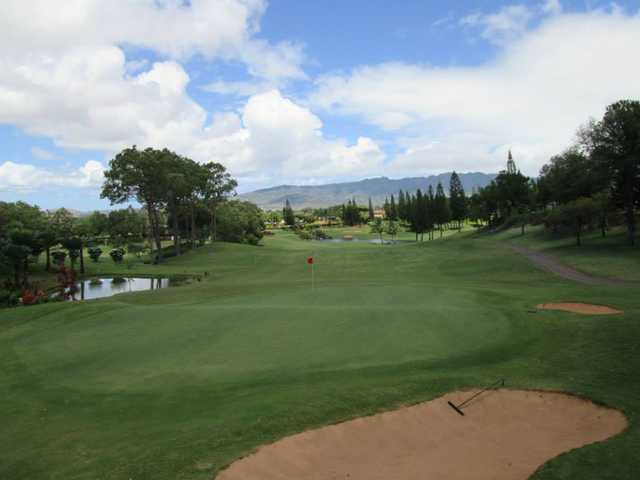 Waikele Country Club sprawls across the gently sloping landscape of Waipio, just west of Waikiki. 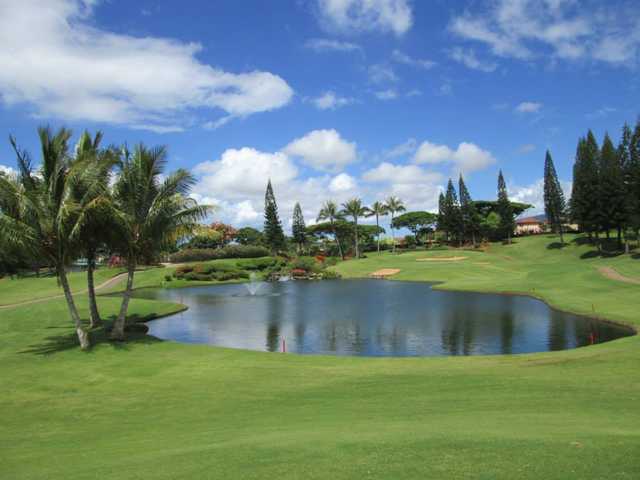 The golf course overlooks Pearl Harbor with views stretching to Diamond Head. The layout features rolling fairways and undulating greens, which are accented with strategically placed bunkers. 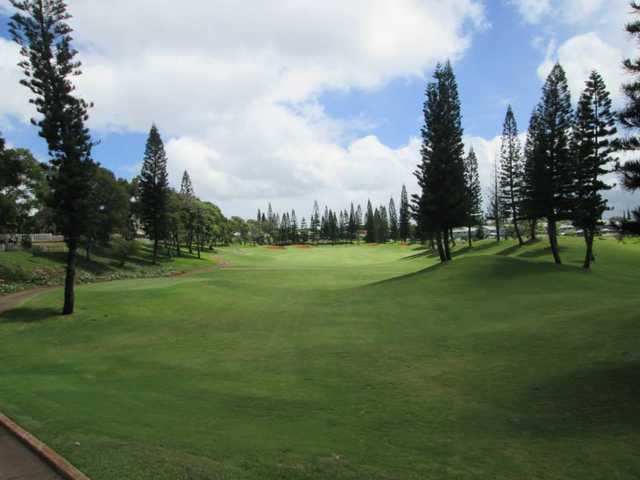 Waikele Country Club sprawls across the gently sloping landscape of Waipio, just west of Waikiki. The golf course overlooks Pearl Harbor with views stretching to Diamond Head. The layout features rolling fairways and undulating greens, which are accented with strategically placed bunkers. Ted Robinson designed the course, incorporating his signature water features throughout. Keeping the ball in play off the tee is integral to scoring well on this layout. The fourth hole is a short par 4 that is known for being one of the course's greatest challenges. It plays downwind, requiring a skillful lay-up off the tee in order to set up the short-iron approach to the two-tiered green that is protected by a pond. 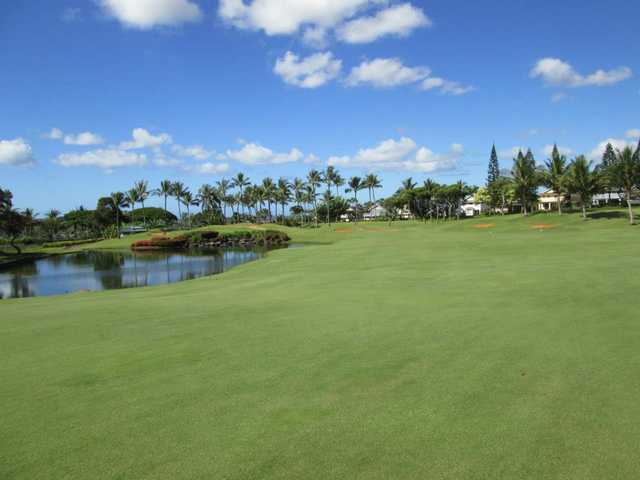 On Waikele Country Club's back nine, the 17th is another favorite hole amongst players. Beginning on an elevated tee, the hole plays to a deep, narrow green with water and a small sand bunker to the front. Looks and feels like a muni; outrageously expensive (350$ apiece from Royal HawaiianHotel) waited on every hole; two 5-somes in front of us. Don’t be deceived by country club designation. Worst course we played in Hawaii. Couldn’t wait for it to be over. Waikele golf club restaurant is my favorite place to go for lunch. I also bring my clients out to eat and play golf here very often. But on Friday 5/20/16 this might have just change my mind and many other friends of coming out to eat there any more. I was standing inline be hide a lady in front of me to check out from restaurant. There were two personnel at cashier station. After the lady in front of me have been help and she left, then two personnel help to check out the gentle that didn't even stand inline. I stood there and waiting to get help for sitting. After they service the gentleman, both service personnel just walk away and pretending that I m not even there. There's lady standing behind me, she said that is decussting. Both server just walk away without looking at me and pretending that I am not there. -Poor training from management ?? -Employees doesn't recognize that there job are relying on customers. This course with new management is well maintained and offers a great challenge for the reflective golfer. Greens have many intended subtle breaks, bunkers and landscaping designed to reward accurate shot making and game management. Not a wide open layout rewarding distance above skill. A local low handicappers favorite, hence the high play volume and relative cost. Good afternoon pricing and availability. Good Japanese cuisine in spacious colonial clubhouse. I golf whereever I vacation. that means I golf at all Disney courses such as florida, California, Hawaii, which are excellent courses. this course though is crap and worth only 1/2 what they want. if you want to spend this kind of money go to Ko Olina Aulani golf course. you wont be disappointed. The person who wrote the last review must work for the golf course. Greens were horrible and we couldn't tell the difference between the fairways and the rough! $140 are you kidding me? I feel like I've been robbed. Not only was the course bad, but the management was even worse. I didn't grab his name but the manager clearly lied to us and I'm pretty sure he's racist. He was talking to somebody in Japanese, and being an African American he assumed I couldn't understand what he was saying. Well he was wrong. We had 25 minutes before our tee time and we wanted to hit a few balls. He made us go out early and said if we didn't, he wouldn't be able to get us out until later in the day. That's when I heard him say in Japanese to another customer "Problem solved, people like that take longer to play anyways HaHaHa." I would've left but we had already paid online. I'll never be coming back. The changes they have made here are outstanding!! Waikele got a reputation for having a lot of weeds and being poorly maintained. I almost gave up on this place. Just 2 days ago I thought I'd give it another shot. I'm so, so glad I did!! What a true gem this course has become. Whoever is responsible for the improvements should be commended!! Course is well maintained now, not a weed in site, fantastic challenging greens and a few awesome risk/reward holes where you can let it rip and hope, or play it safe and increase your chances. 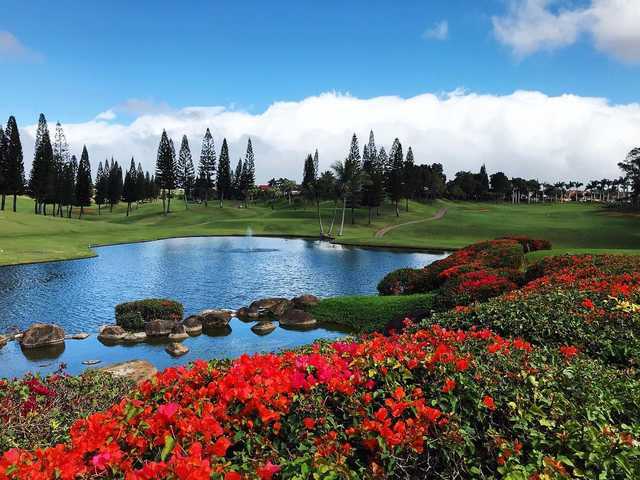 Either way, Waikele Country Club is a course to play for sure! If you have played there before, you have to give it another shot...I promise you will be very, very impressed. ALOHA!! Greens are horrible, they are to punch the greens on the 15th and 16th but, they should do it right away. no one can put on those greens anyway with all the holes left by weeding the greens. Fairways aren't that much better, pretty sad to see it that way. Fun course to play , good warm up course before you hit the big dogs.